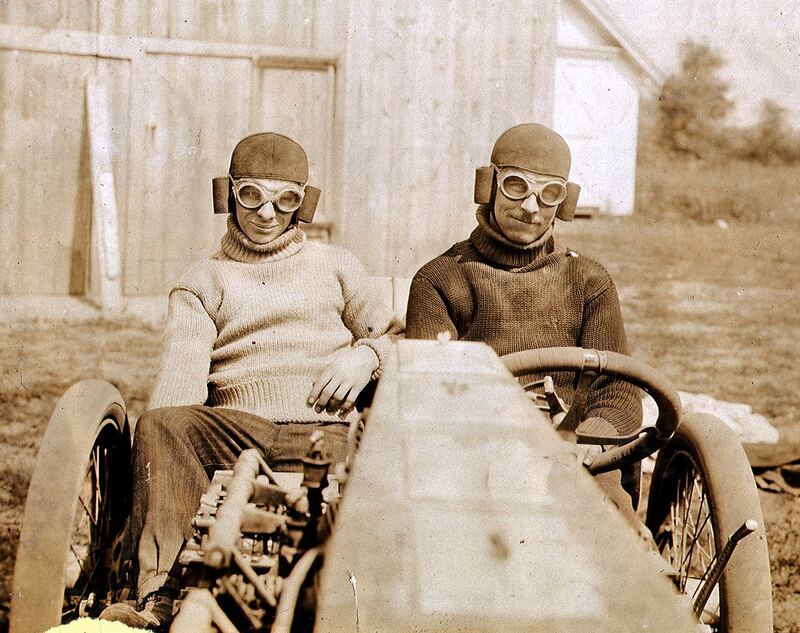 Lee Frayer was an automobile innovator, designer of one of the first air-cooled engines, and a driver in the 1906 American Elimination Trial and the 1911 Indy 500 Race. Scott Noteboom has provided this profile of Lee Frayer, his great-great-grandfather. Photo courtesy of Scott Noteboom. Lee Frayer lived from 1874 – 1938, and spent his most significant years out of Columbus, Ohio. While not acknowledged so much in modern documentation, etc, Lee in his time was a leader in automobile innovation, racing history and hot rodding. From pioneer development of the first cars, to driving in early premier races such as the first Indy 500, to innovating many car technologies– many still used today– Lee’s mark in automobile history, hot rodding and racing still stand today. 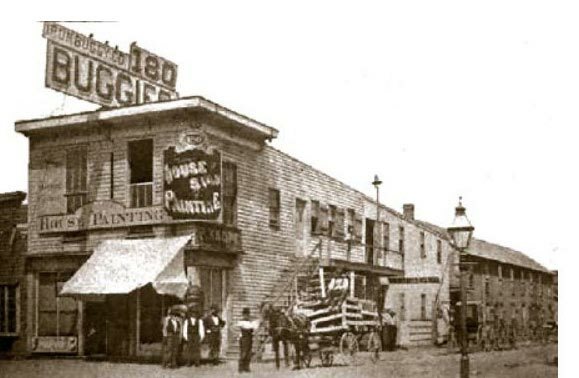 Lee began working on the four wheel buggy in the late 1800′s and with his partner, William Miller, led transition of Columbus Buggies from horse to electric/fuel power. 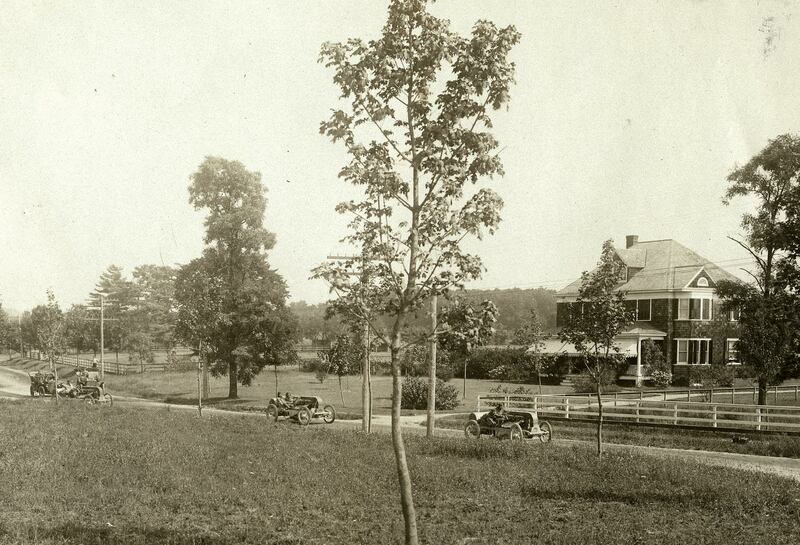 Lee innovated their Electric Buggy model and in 1902 Frayer-Miller began designing and building automobiles, with the Oscar Lear Automobile Company and Columbus Buggy Company doing the quantity manufacturing. 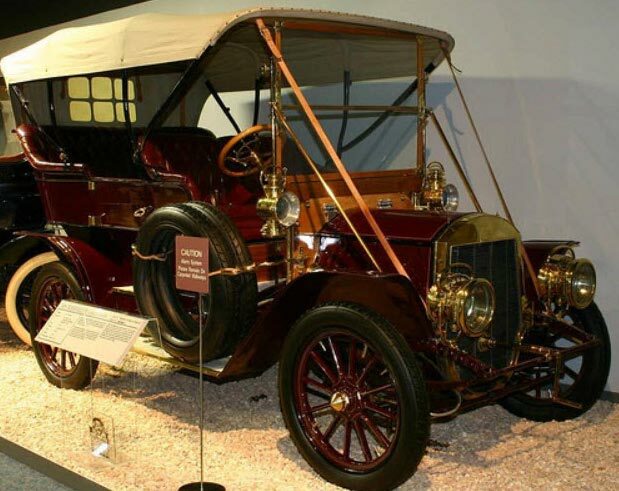 By 1905, Frayer-Miller had designed / released the world’s first six cylinder automobile, a 36hp model. One of the things that made the Frayer engine unusual during these times was that Lee built them air cooled– to avoid freezing radiators and cracked blocks during the cold Ohio winters. That year, Frayer took his 6 cylinder car to race in the world’s first 24 hour road race and was the only solo driver to successfully compete in and complete that historic race. Later that year, Frayer was working under the hood of one of his cars, he was approached by a young 15 year old. This kid confidently stated that he was into cars, and would show up for work at Lee’s place the next day– because he wanted to build cars. Lee didn’t think much of it and wasn’t in the shop the next day, but the kid showed up as promised– and was Lee’s new apprentice. 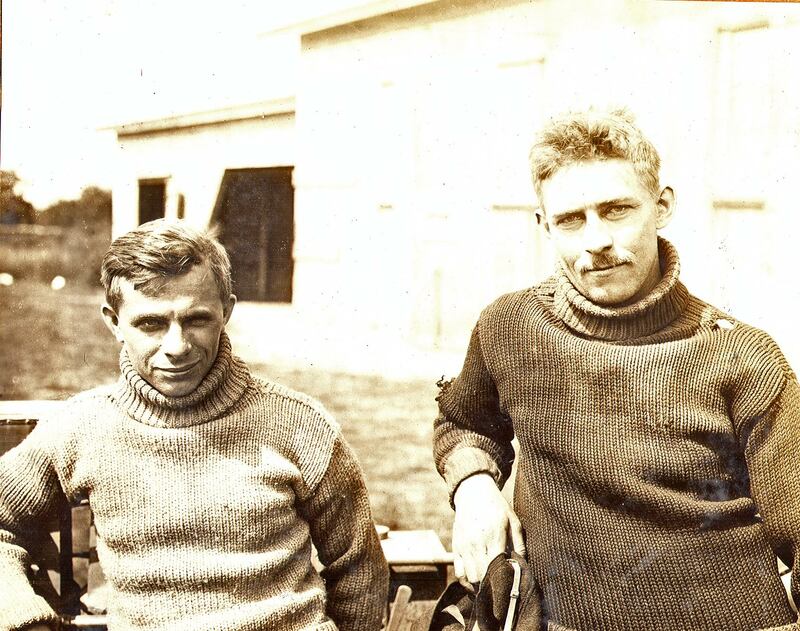 Mr. Frayer and his apprentice, Eddie Rickenbacker, would work and race together for years, and Rickenbacker would continue not only as a pilot and an American hero of World War I, but also eventual owner of Eastern Airlines and the Indianapolis Speedway. 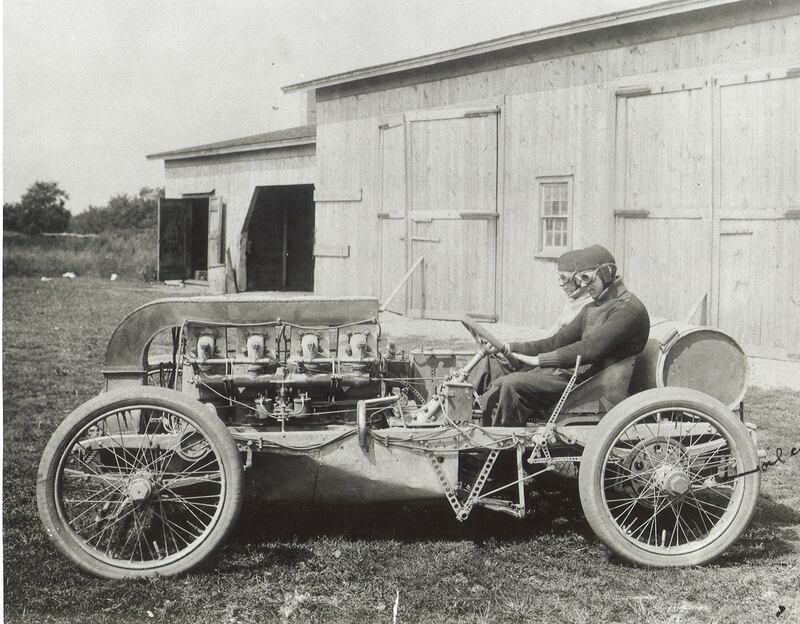 By 1906 Lee had developed a 4-cylinder model engine/car, hot rodded his own, brought along his new apprentice as his onboard mechanic and raced in the American qualification for one of the early, most prestigious auto races to date– the Vanderbilt Cup Race in Long Island. In 1907 a partnership was formed with Seagrave, the biggest and best-known fire apparatus manufacturers in the United States, which also happened to be located in Columbus, Ohio. That year using a Frayer-Miller built rig, Seagrave Company became the first manufacturers of horse-drawn fire engines to offer gasoline-powered fire engines. On June 27, 1907, their first Seagrave/Frayer-Miller fire engine, a hose wagon powered by a four-cylinder, 24-horsepower motor, was driven over 50 miles from the Columbus to Chillicothe, Ohio, and back, with fire chiefs from all over the eastern U.S. on board. This historic 105-mile trip took 8 hours and 17 minutes, averaged 13 miles per hour and would take fire fighting capability to the next level. The Frayer-Miller automobile chassis proved not beefy enough for practical use as a fire engine. So Frayer-Miller engineers created a stronger chassis frame, a larger clutch, and increased air flow for cooling. This redesigned Frayer-Miller not only was used for fire engines but also became the basis for a new line of Frayer-Miller commercial trucks, to fill out the company’s traditional automobile line. By year’s end 1907, Frayer-Miller was cranking out chassis / drive train that was used in motorized hose wagons, chemical cars and commercial trucks being sent all over the U.S. and Canada. Lee Frayer is passenger front; Eddie Rickenbacker is driving; some famous politician (forget his name) is in back. 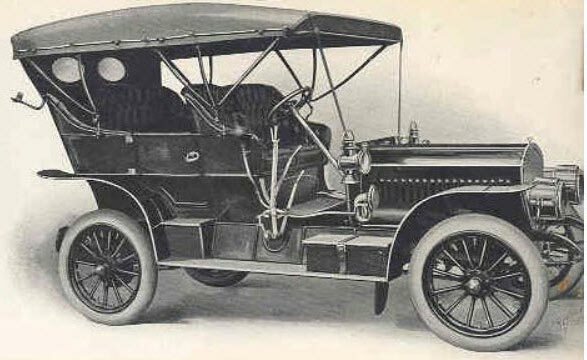 1908 Frayer-Miller sales literature presented eight models including a taxi cab and a commercial truck chassis. Engines were air-cooled and were offered with either four or six cylinders. Full equipment for the Model B Touring included gas and oil lamps, horn, tools, battery and coil. The top was optional at a cost of $100.00. 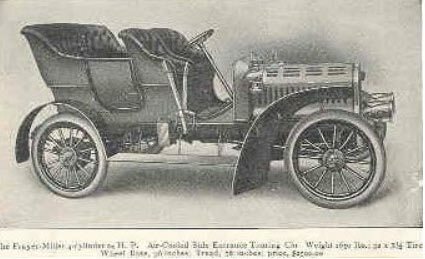 Having not lost the racing bug, Frayer and Rickenbacker took the 1908 Frayer-Miller Touring model and competed in the Long Island Economy Run. Under conditions of the contest, 235 miles had to be covered by the contestants within a time limit of 18 hours– the winner being the vehicle that used the least amount of fuel. Twenty-three cars started and nineteen finished. 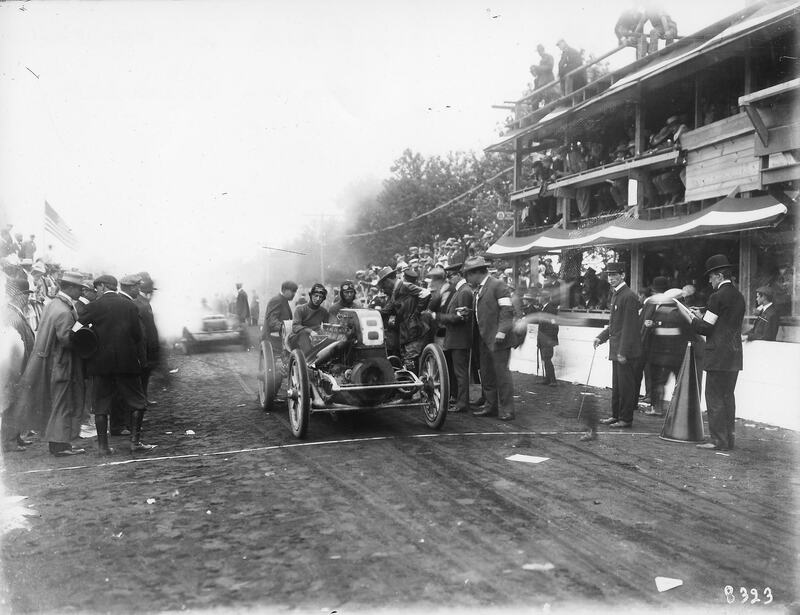 Frayer, confidently carrying five friends with him as passengers the entire race, won the contest by using only thirteen gallons of gasoline averaging 18 miles per gallon. To date, Frayer-Miller had invented the following automotive innovations– some big for their time, some used for years to come: dropped center frame to lower the car’s center of gravity; semi and full floating rear axle; rear axle stabilizers, a shock absorber mounted on the rear axle tube; dual powered electric, kerosene side and tail lamps; and high quality prestolite, acetylene powered head lamps. 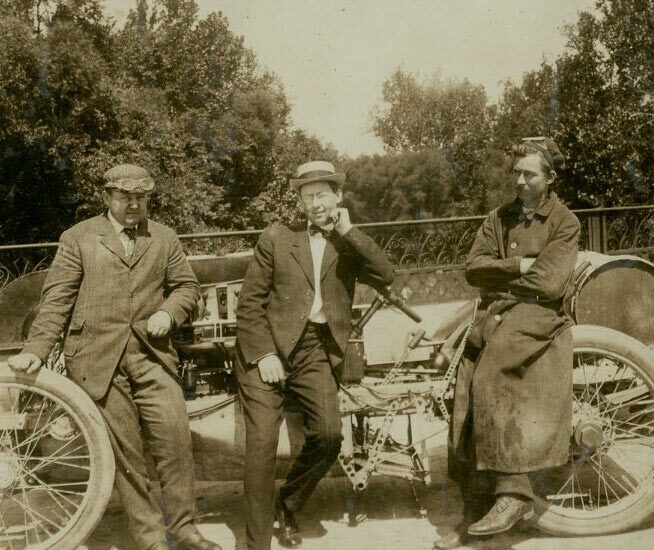 While Frayer was strong on the engineering, innovation and racing front, his dreams didn’t scale as well as his competitors– such as Henry Ford. By 1909, the Frayer-Miller Company was bankrupt. Seagrave acquired the manufacturing rights to the Frayer-Miller air-cooled engines, as well as the remaining inventory of unsold Frayer-Miller cars– which were repackaged as fire chief’s cars and police squad wagons. The rights to Frayer-Miller’s commercial truck designs were sold to the Kelly-Springfield Company of Springfield, Ohio, a well-known tire manufacturer. Frayer-Miller trucks, renamed Kelly-Springfield, continued in production until 1928. - In 1911, Lee participated in his last notable race– which was the most notable in history– the first Indianapolis 500 in 1911. Lee raced using his Frayer-Miler 432cid 4 cylinder monster in scarlet / grey Firestone-Columbus car to 13th place. - As Lee was getting older, and began being plagued by other problems, Rickenbacker began in 1910 of taking the reigns as driver. He set a world land speed record at Daytona Beach of 134mph using a Frayer-Miller motor. By 1912, Rickenbacker sprouted his wings on his own. It’s been suggested that other problems limited Frayer (hate to speculate, but alcoholism has been a multi-generational problem in my family,) and historically Lee seemed to fade into unknown destiny at the same rate Eddie Rickenbacker shined. Eddie Rickenbacker became the American Fighter Ace in WWI, and won the Metal of Honor. He raced the Indy 500 in 1912, 1914-16. Eddie worked with many influential civilian and military leaders as a top government consultant / military expert. He became an American pioneer in aviation, automotive and military history. It’s Lee Frayer that gave him his first big shot. Great story, tracking down this part of your history is intriguing and can certainly fuel the OCD. 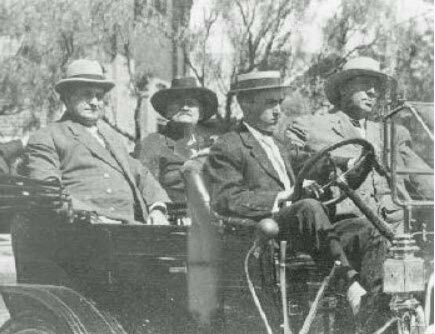 My brother and I, lifelong car enthusiasts, recently learned that our great uncle and his his first wife went on the Transcontinental Drive in 1916. No one in our family ever talked about this, it was just mentioned in an article in the AACA magazine. Led to much investigation by us. Sadly, as it seems like with some of your story, all my relatives who might know a bit about this are gone. Your great great grandfather had an important role in early automotive development, though, so I’m sure you could uncover new facts all the time. Can you define who is who in the photos, it’s a bit unclear. Look forward to reading more about your family history. Based on the one photo where you point out Frayer is pasenger, Rickenbacker is driving, I can guess at the other photos, but still not totally clear. So many of the early automobile manufacturers have been forgotten. They developed almost all the engine technology used today in just a couple decades. I remember seeing the 1908 Frayer-Miller in Reno. It’s air-cooled engine was truly remarkable for its time. Thanks for taking the time to reintroduce us to your great-grandfather and all his achievements. And thanks Howard for providing this forum in which we can reconnect with these automobile pioneers. Mr. Notebloom, just for the record, the photo at the top showing your great-grandfather, Lee Frayer, as a passenger, with Eddie Rickenbacher (he replaced the “h” with a “k” during WWI) at the wheel, the “famous politician” at the extreme left is William Jennings Bryan, three-time unsuccessful Democratic candidate for President. His last loss was in 1908 to William Howard Taft. He was later the losing attorney in the Scopes Monkey Trial to Clarence Darrow. Just FYI. I appreciate your posting pictures of Mr. Frayer. He gave Eddie his first meaningful automotive job and really mentored him. He knew great talent and drive when he saw it. Theodore FRAYER was my father. Which of Lee’s children is your relative? I enjoy and appreciate all your efforts with historical aspect of our family.